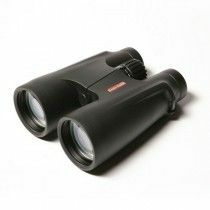 The prism type (Abbe Koenig and Porro are better than the Schmidt-Pechan, where up to 8% light is lost when compared with the first two). 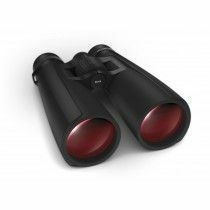 It is very important that low light binoculars have a very large input lens (most often 50 or 56 mm ) in order to capture as much light as possible. 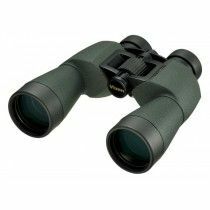 By increasing the magnification, the exit pupil gets narrowed, so we see a less bright picture with binoculars with higher magnification. 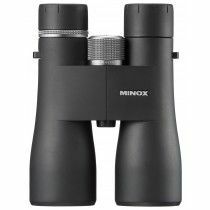 For this reason, the most common magnifications are 7x and 8x. 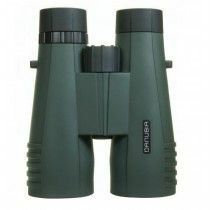 8x56 is the most optimal configuration, as the 56 mm lenses collect a great amount of light, and the 8x magnification has an exit pupil diameter exactly 7 mm which fits the human eye best. 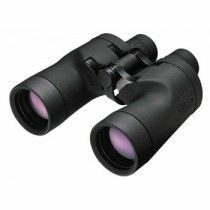 7x50 configuration is slightly less common but usually more compact, also offering 7 mm exit pupil diameter. 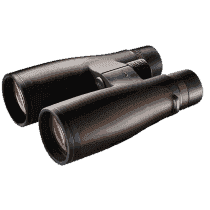 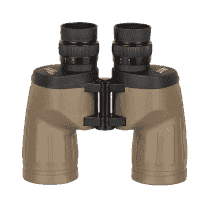 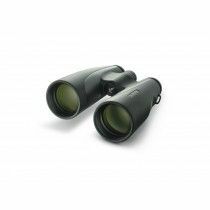 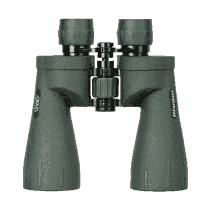 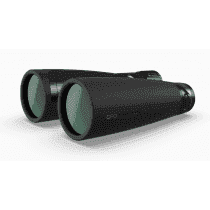 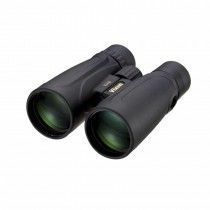 8x56 and 7x50 are the golden standard for binoculars designed for using at dusk and dawn. 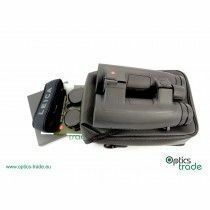 It is optimal that the exit pupil diameter is exactly as large as the eye can widen. 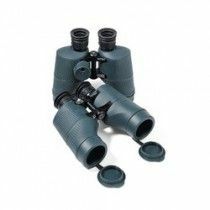 In a healthy eye (up to 50 years of age), the pupil can expand up to 7 mm. 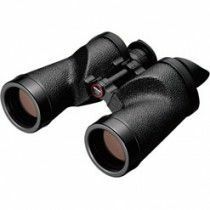 The gain of light that passes through the binoculars is 100%. 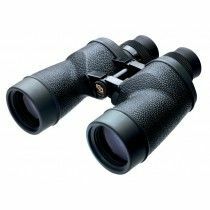 For those who are older and their pupil diameter does not expand up to 7 mm, the light gets lost, but still the binoculars with 7 mm exit pupil diameter remain the most comfortable binoculars to watch through. 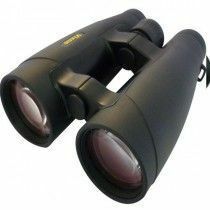 Older people can choose 8x50 or 8x42 in order not to carry such heavy binoculars and still see a bright enough picture. 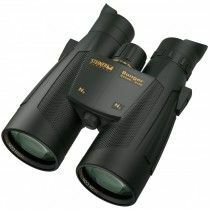 They will, however, be less comfortable to use, compared with 8x56. 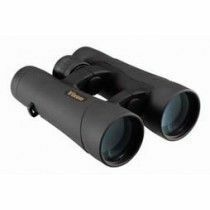 Porro and Abbe Koenig prisms have a significantly better light transmittance, and therefore, in low light binoculars, we tend to this type of prism and not the Schmidt-Pechan. 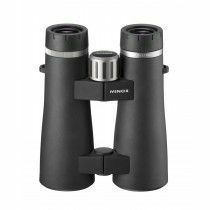 8x56 configuration will be notably brighther with Abbe Koenig or Porro prism than with a Roof/ Schmidt-Pechan prism. 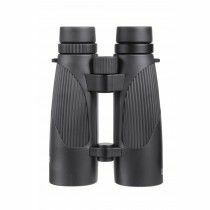 The design of these remained the same until today. 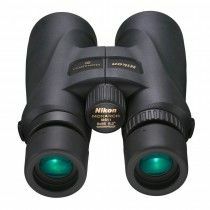 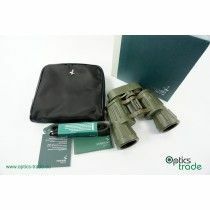 This type of binoculars offers excellent light transmission. 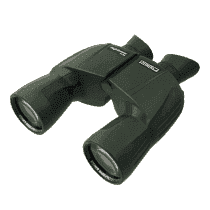 Usually, they have separate focusing for each eye. 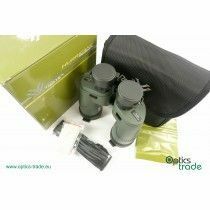 Their biggest advantage is excellent watertightness and the fact that they can be bought at a good price. 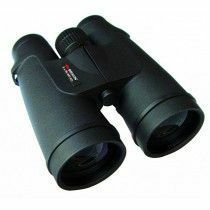 The disadvantage is that they are extremely large and less comfortable than those with a Roof prism and they are heavy. 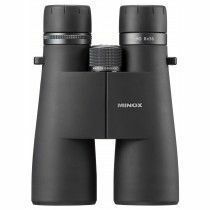 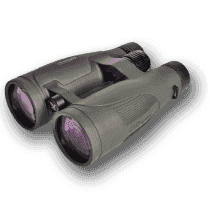 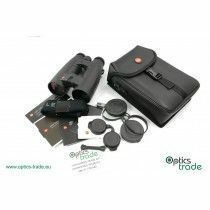 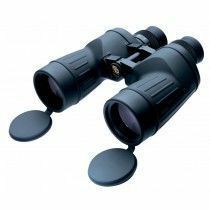 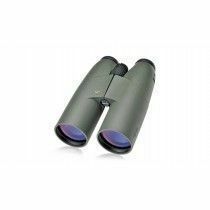 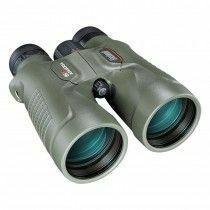 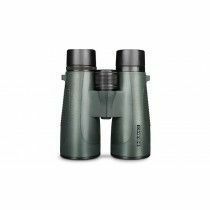 This is currently the most modern trend among binoculars and is the best possible Roof prism, as far as ergonomics and light transmittance are concerned. 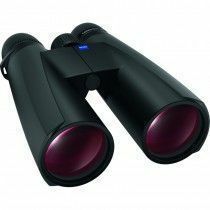 With this kind of binoculars, you get a light transmittance of a Porro prism and compactness almost the same as from the Schmidt Pechan prism. 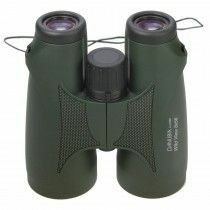 Usually these binoculars are larger with longer barrels. 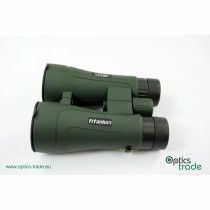 Their main disadvantage is high price and limited choice; only Zeiss, Docter and Swarovski are manufacturing them. 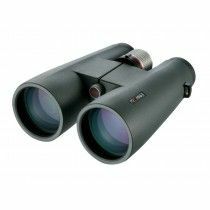 This system is only found on Porro binoculars. 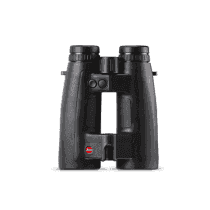 These binoculars are perfectly sealed against the ingress of water. 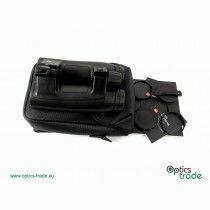 Focusing is only set once in good light conditions and then we can leave it, since it works well in all conditions. 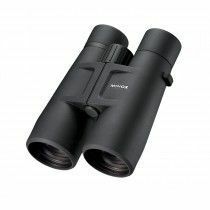 They are a good solution for low light use, because with a central focus you usually get confused in the dark, you do not know if it's sharp enough or not because you do not see well in the dark. 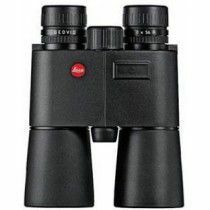 The big disadvantage is that the close focusing distance is very long (from 15 to 20 m onwards). 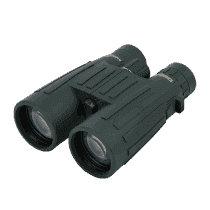 There is no such thing as compact low light binoculars, but some are smaller. The only ones who have succeeded in making slightly smaller low light binoculars are: Zeiss with a combination of special HT glass, Abbe Koenig prism and finishing T * coatings (8x54, which is about 20% smaller and lighter than the classic 8x56 binoculars with the same brightness, some also say it is the brightest pair of binoculars in the world) and Swarovski Habicht 7x42, which has a Porro prism and is extremely lightweight and useful for hunting in the dark.